Way Away / / Baúl del Viajero / Enjoy the Holiday of a Lifetime in Moraira! Enjoy the Holiday of a Lifetime in Moraira! Situated on the Costa Blanca coast in the province of Alicante, Moraira is a small and truly beautiful town which benefits from stunning scenery and rich historical architecture. Historically speaking Moraira has traditionally been a fishing town, and tough the majority of its economy is centred on tourism, one can still see fishing boats regularly plying their trade, and it boasts one of the most popular fresh fish markets in the region. Curious for more Moraira information? Please keep reading and you will find out all about this splendid place. 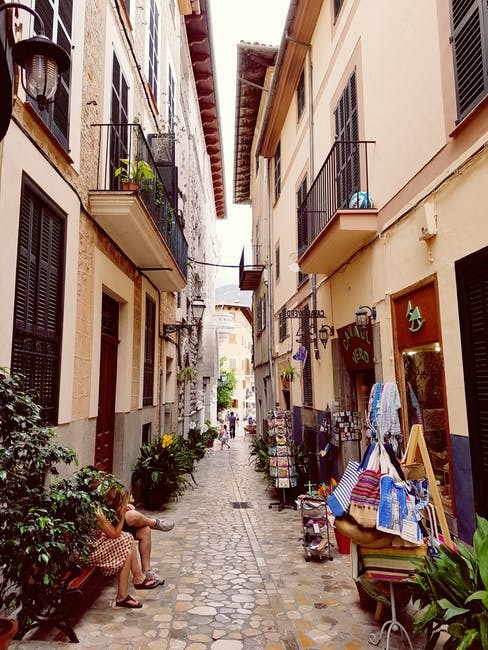 The true appeal of Moraira is found in its beauty – all within short walking distance you have mountains, historical small town architecture, and beautiful coastline; making it an ideal destination for a varied holiday. The climate too is typical of the Mediterranean, with upwards of 300 sunny days a year, and very short mild winters. Add to that the warm, clear sea waters and it’s easy to see why so many consider Moraira the ideal holiday location. Moraira also boasts a highly impressive privately owned marina, as well as a wide variety of locally owned shops, bars, and restaurants. It’s a perfect place for a couple or a whole family, or even to enjoy alone. Though formerly a small fishing village, Moraira now boasts a thriving tourist economy which means you will never be short of something to do. If you want to be active, there are a wide variety of activities available including golf, water skiing, tennis, football, private boat hire and a selection of walking tours to be enjoyed. If however you want to enjoy a more sedate pace, the restaurants, bars, clubs, bistros, and stores are open all year round and are known for their friendly, helpful staff – another reason Moraira attracts visitors from all over Europe. Seafood lovers will feel they’ve gone to paradise – there are a variety of restaurants on the seafront offering perfectly cooked freshly caught fish that in some cases has only travelled a few feet from net to plate. With Michelin-starred restaurants in the town, Moraira is perfect for foodies in general. If you want sun, sea, and beautiful surroundings with warm weather and a relaxed friendly atmosphere, you can do no better than Moraira – a true jewel of the Spanish coast.